Bethany Chapel used to stand on Brecon Road, opposite Derwen Road, facing where the Astoria Cinema used to be. It has now been replaced by a large private house. Originally constructed as a Welsh Congregational Chapel under the name of Brynawel in 1911, it was renamed to Bethany when the Baptists purchased it in 1946. It closed in 1990, and was subsequently demolished. As a legal entity, Bethany Chapel had existed since 1902, first meeting in the vestry of Ainon Chapel, then in the old I.L.P. hall on Brecon Road, before getting their own building of wood and corrugated iron in 1921, that served them well until their purchase of Brynawel Chapel building in 1946. While the Welsh Baptists in the Upper Swansea Valley had been established a long time, initially at Nant-y-Ffin Chapel and then later at Noddfa, Abercrave and Moriah, Coelbren, as well as at Ainon, Ystradgynlais, the English Baptists were a much later arrival. Initially, the English Baptists had met in Ainon Chapel vestry, then they met in the I.L.P. hall - this probably stands for Independent Labour Party. A newspaper article in the Llais in January 1926 states that the I.L.P. Hall later became Elim Hall, and thus was located near to the Co-operative Stores on Brecon Road. Ystradgynlais Heritage Society's publication "Y Daflen" describes a building that was located at the juncture of Club Lane (which runs past the current Constitutional Club, Ystradgynlais) and Brecon Road. It is described as being a corrugated metal building, and today is "the site of a former petrol station". It is probable this means opposite Club Lane, where the petrol station has been converted to a car wash, and stands in front of the bus station. 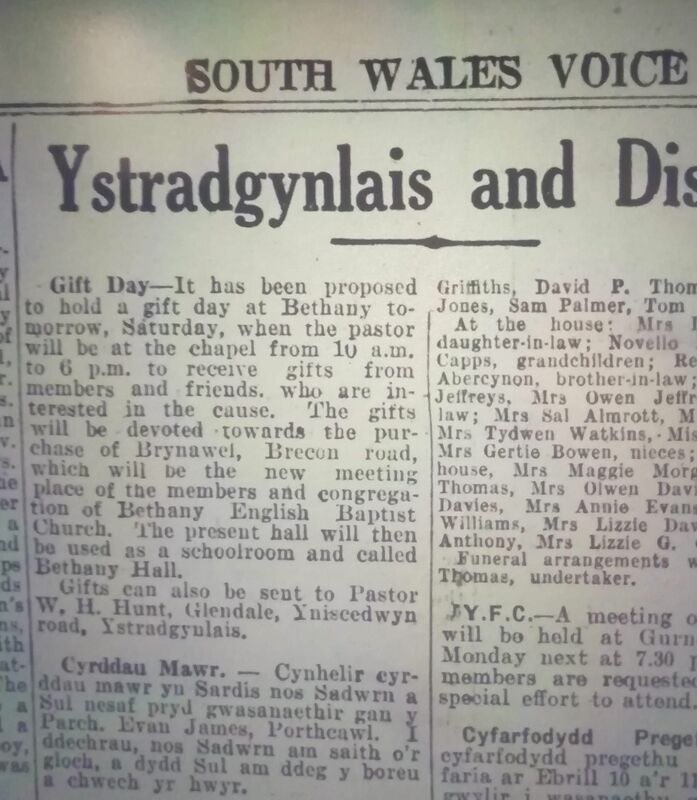 From 1921 to 1946, the chapel occupied a building near Ystradgynlais cross, as had been discussed in the 1919 article below, and which came to fruition in the 1921 article below. This is probably what is being described in "Y Daflen", above. There was a good attendance at Bethany English Baptist Church, on Sunday evening, when the Rev D J Davies, Ainon, preached the charge to three new deacons, namely: Messrs J Blewitt, G Gardiner, and Sergeant W Williams with Mr F Smith as elder. Four new members were also received into the church. There was a large gathering at the I.L.P Hall on Wednesday last when a social tea was held under the auspices of the Bethany English Church. Over 400 tickets had been sold for the occasion. There was a large band of willing helpers, and everything was successfully arranged. Messrs David Bowen and Arthur Jones were the secretary and treasurer of the committee. The members of the Bethany English Baptist Church are at present appealing for assistance for their building fund. 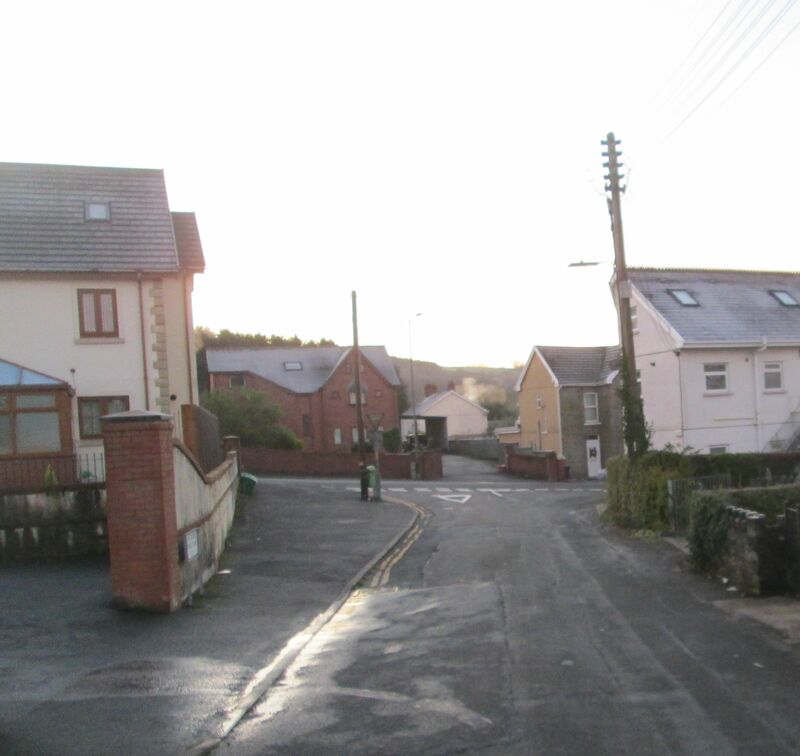 Bethany is the only English Baptist cause in the Valley beyond Morriston, with the exception of the newly formed cause at Pontardawe, and an uphill struggle has been maintained through the years to keep the church alive. The members now worship at the I.L.P. Hall and have secured an admirable plot for building on Brecon Road, near the Cross. The appeal, which is meeting with a ready response, is being made to all Christian friends, and it is hoped that a Baptist church worthy of the cause and of the denomination will soon be erected at Ystradgynlais. To the members of the Bethany English Baptist Church, Sunday last was an auspicious day, and the opening of the new church was welcomed with deep satisfaction. It has been a hard task for this small community to build a new church but with praiseworthy perseverance they have courageously kept their ideal insight and at last they have achieved their main object and they now possess a church worthy of the denomination. Their old meeting place the ILP Hall has served them well but the dominant thought always existed that a meeting place which was used for other purposes, was not a fit sanctuary to hold divine service. 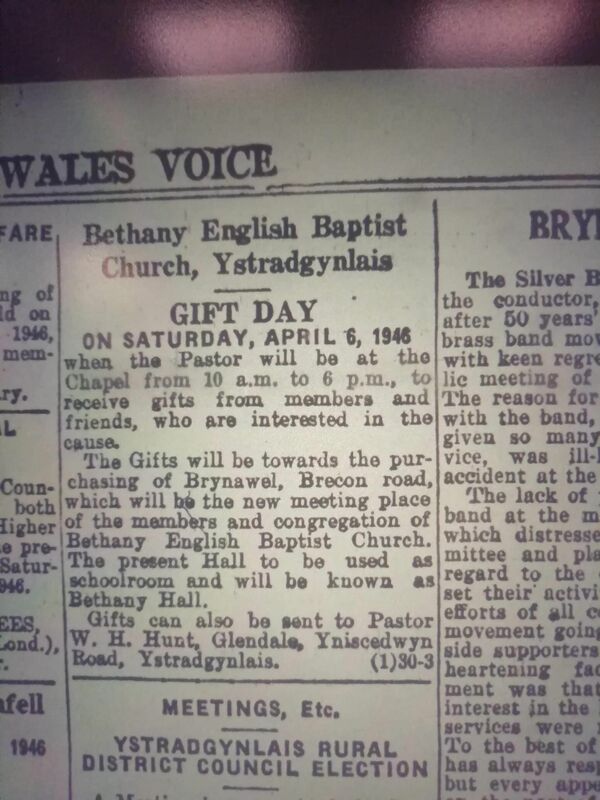 It is practically 19 years since the Bethany English Baptist Church had its birth at Ystradgynlais and through that period, they have passed through many trials and vicissitudes. 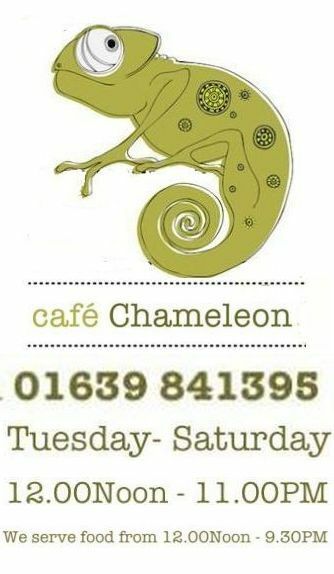 The majority of the members have remained staunch; some of the old faces have left but new ones have taken their place. This new edifice has been erected on the land just inside Brecon Road and is a wooden structure, faced with corrugated iron and built on a concrete foundation. The church has a holding capacity of roughly 250. The interior decorations are not quite completed but the building itself has been well constructed. At the far end of the room is a pulpit on a closed platform. The walls are varnished and electric light is being installed. The whole of the labour has been carried out directly and by voluntary assistance of a number of enthusiastic members of the church. The whole of the construction is been in the hands of Mr Ives of Abercrave, who is one of the deacons of the church. It is proposed to add ante-rooms later on and the church, when completed will be a fine edifice. The opening took place on Sunday last and large congregations were present. The Rev D J Davies Ainon and first pastor of the church officiated at the morning service and his inspiring address was attentively listened to. The present pastor the Rev T Griffiths Rees officiated at the afternoon service was assisted by the Rev D J Davies. Mr Griffiths eloquently referred to the new church which they were all proud to see opened. He appealed to the members to subscribe to the building fund as generously as possible. A heavy debt has been incurred and until this was wiped out, the future work of the church would be seriously handicapped. The Rev T G Rees again preached to a large audience in the evening. The formal opening took place on Thursday when the Rev Owen of Llanelly preached. Commencing on Saturday next, a special 10 days mission is to be held and meetings will take place in the church every evening at 7 o'clock. The mission will be conducted by Mr David Matthews, a well-known speaker. It is hoped that now the church has been opened, the membership will greatly increase. The supposed drawback is now removed and all English Baptists of Ystradgynlais are accordingly invited to join the church. The Rev Tom Rees, minister of Bethany English Baptist Chapel is ill with the flu. We unite with his numerous friends in wishing him a speedy recovery. Holman Hunt was probably fully-named William Holman Hunt, in honour of the famous early 19th century painter. 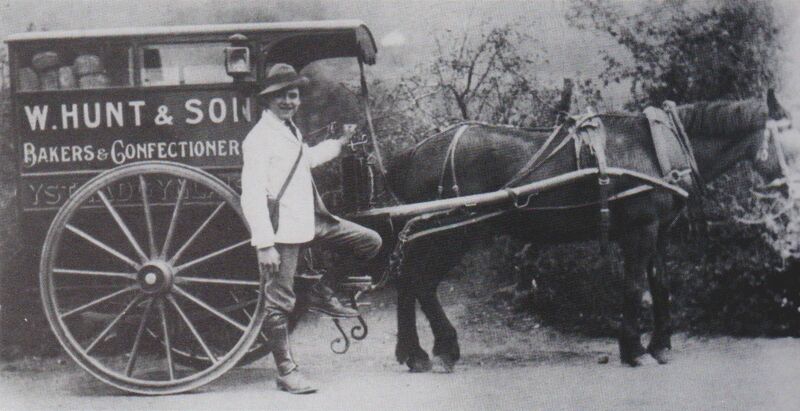 He was involved with the running of Glendale Bakery, Ystradgynlais, and married Rita [Veronica] Kingston in 1931. 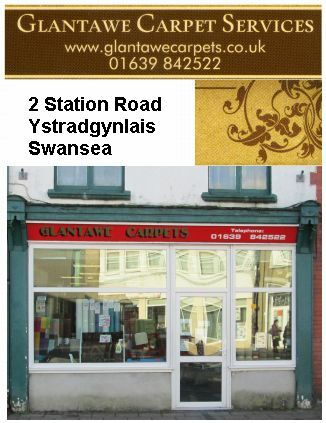 By 1939, the family were living at Glendale, Ynyscedwyn Road, Ystradgynlais. Holman was also a highly respected pastor of the English Baptist Church in Ystradgynlais for 35 years. The Llais newspaper had always included a round-up of happenings at local churches and chapels, even when these were not part of any particular story. Sometimes they advertised forthcoming events, and at other times who was preaching, or had preached there recently. 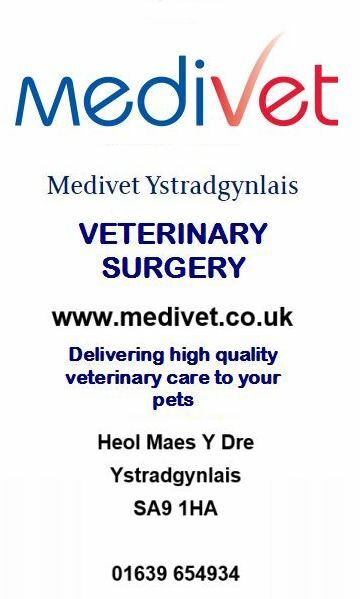 Bethany Notes - we have created a separate page for a sample of this sort of information. Included below is one example. Bethany Notes - A children's carol service will be held at Bethany Church on Sunday evening at 6 p.m. All are invited to come and hear the children. On Christmas morninig at 8 a thanksgiving prayer will be held. All interested are invited to attend. Requests for prayers for those who are absent at Christmas will gladly be received by the pastor, Mr W.H. 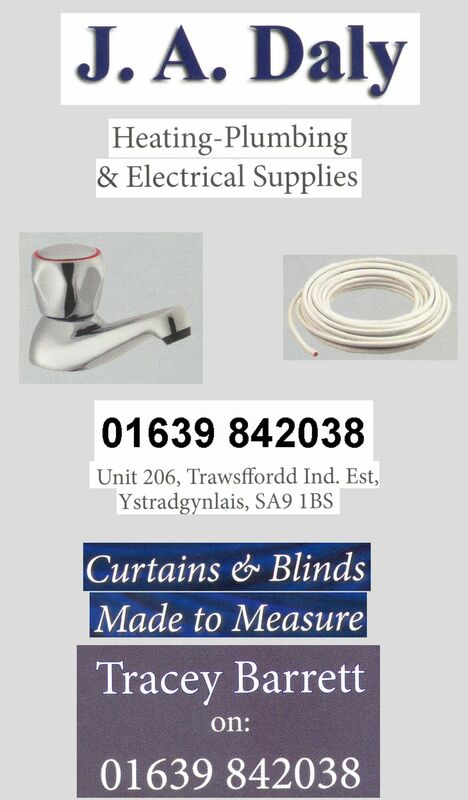 Hunt, Glendale, Ystradgynlais. The opening services of Bethany English Baptist Church, Ystradgynlais were held last Wednesday. The first meeting was held outside the new church, formerly known as Brynawel, and was conducted by Mr G F Austin, President of the West Wales Baptist Association. The opening prayer and scripture reading were taken by the Rev T Trevor Evans, B.A., B.D., Briton Ferry, Secretary West Wales Baptist Association. An appropriate hymn was sung and the key was handed by the honorary pastor, the Rev W Holman Hunt, to the oldest member Mrs J Havard, Church Terrace, Ystradgynlais, who spoke of the early days of the English Baptist cause at Ystradgynlais, when meetings were held at Ainon Vestry. She was happy to think that the little cause had grown, and wished every success to the new Bethany. Mrs Havard then turned the key in the door and entered, followed by the pastor, the president, and deacons, Mr Walter Melville and Mrs James Mallows. At the 3pm service, the pastor formally presented the new Baptistry to the Church as a token of his love for the cause and all it stands for. The Rev T Trevor Evans then dedicated the Baptistry to the Glory of God. The president for the afternoon service then called upon the pastor to give the opening address. Mr Hunt recalled the early days when services were held at the old I.L.P. hall, and how as a boy he was introduced to Bethany by the late Mr Fred Smith, a deacon and founder of the cause. Having been brought up in Bethany, he had learned to love the little church. He referred to the several moves the church had made during its history, from Ainon vestry to the ILP hall, where only Sunday services could be held. The prayer meetings were held in the homes of the members. The next move to the building near the cross, where they had spent 25 years and before leaving were able to clear the outstanding debt. The pastor then pointed out that if a line was drawn from the vestry to the old ILP hall and a line drawn from old Bethany to the new church it would form a perfect Maltese Cross, typifying that the cause at Bethany was on the right foundation, namely The Cross of Christ. The following speakers extended their congratulations and best wishes to the pastor, deacons and church members on their achievement: the Rev Hubert Davies, Ainon Welsh Baptist; Rev Eric Dainton, Bethany, Seven Sisters; Rev W Thomas, Beulah, Cwmtwrch; and the Rev T Trevor Evans, B.A., B.D., Briton Ferry. The service concluded with the singing of an appropriate hymn. Tea was provided for all visitors and friends at Old Bethany. At the evening service, the pastor presided and in the course of his remarks referred to the Gift Day that was held recently and he was pleased to announce that the amount received to date was £120. He thanked all that had helped to make the effort a success. Thanks were also due to the children who had collected 17,000 capital-ship half-pennies, amounting to £35 to be used on the repair of the pipe organ. A hearty invitation was given to all to attend the services at Bethany. The special speaker for the evening was the Rev A C Noble, Maesteg, who delivered an eloquent address. Mrs Margaret Morgan was at the organ. The Baptistry was a full-immersion font, situated near the front of the chapel. 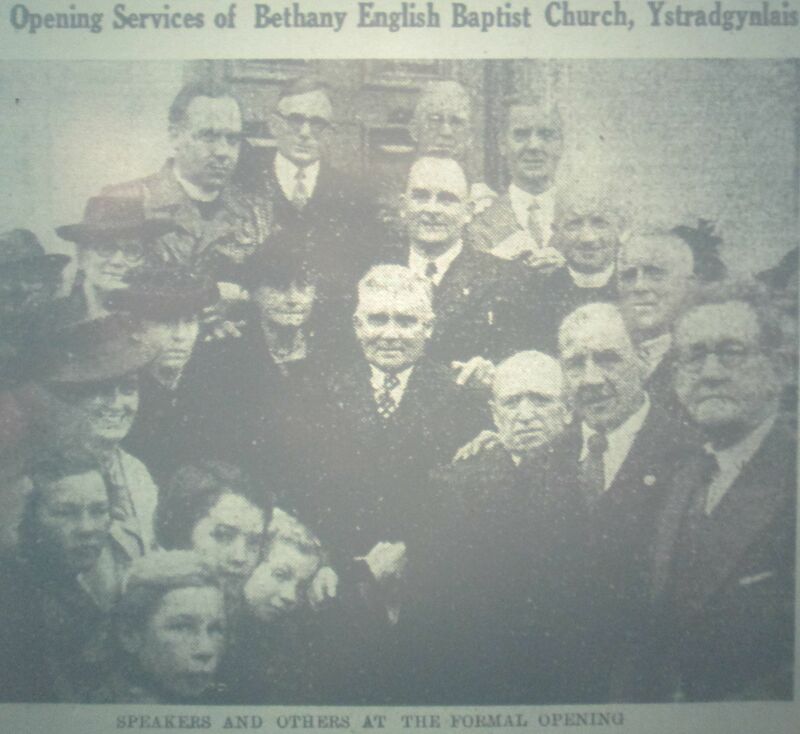 Bethany English Baptist Church, Brecon Road, Ystradgynlais celebrated 21 years in its new premises (formerly Brynawel Chapel) in September of 1967. 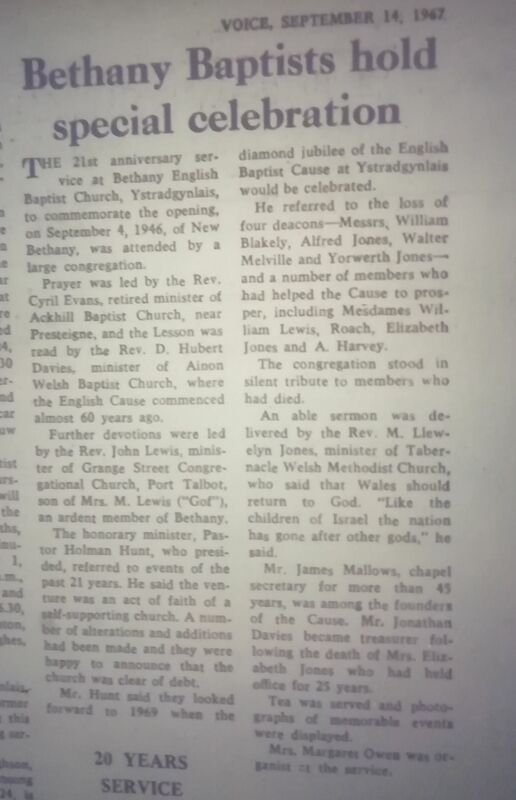 The 21st anniversary service at Bethany English Baptist Church, Ystradgynlais to commemorate the opening on September 4th, 1946, of New Bethany, was attended by a large congregation. Prayer was led by the Rev. Cyril Evans, retired minister of Ackhill Baptist Church, near Presteigne, and the Lesson was read by the Rev D Hubert Davies, minister of Ainon Welsh Baptist Church, where the English Cause commenced almost 60 years ago. 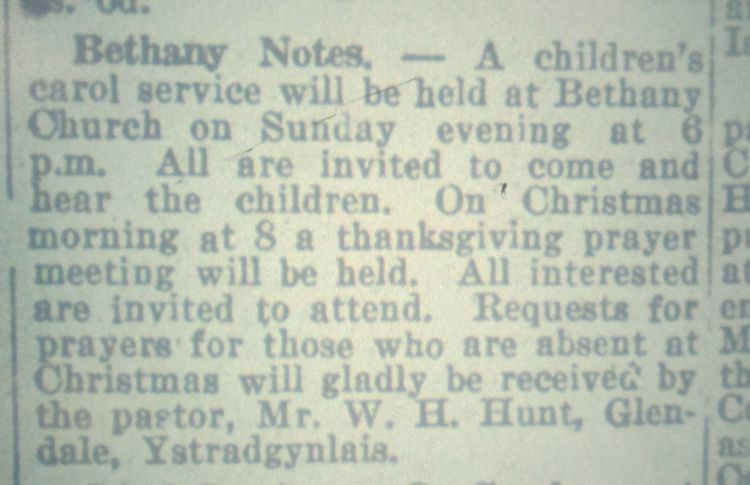 Further devotions were led by the Rev John Lewis, minister of Grange Street Congregational Church, Port Talbot, son of Mrs M Lewis ("Gof"), an ardent member of Bethany. The honorary minister, Pastor Holman Hunt, who presided, referred to events of the past 21 years. He said the venture was an act of faith of a self-supporting church. A number of alterations and additions had been made and they were happy to announce the church was clear of debt. Mr Hunt said they looked forward to 1969 when the diamond jubilee of the English Baptist Cause at Ystradgynlais would be celebrated. He referred to the loss of four deacons - Messrs William Blakely, Alfred Jones, Walter Melville and Yorwerth Jones - and a number of members who had helped the Cause to prosper, including Mesdames William Lewis, Roach, Elizabeth Jones and A Harvey. The congregation stood in silent tribute to members who had died. An able sermon was delivered by the Rev M Llewelyn Jones, minister of Tabernacle Welsh Methodist Church, who said that Wales should return to God "Like the children of Israel the nation has gone after other gods," he said. Mr James Mallows, chapel secretary for more than 45 years, was among the founders of the Cause. Mr Jonathan Davies became treasurer following the death of Mrs Elizabeth Jones who had held office for 25 years. Tea was served and photographs of memorable events were displayed. Mrs Margaret Owen was organist at the service. The photograph below shows where Bethany Chapel (and formerly Brynawel Chapel) stood, the large reddish house facing the road at the left-hand far end of the photograph. Bethany Chapel was located in what is now the driveway and carpark for the house. Where the house stands, and the garden to the rear, were back then a field behind the chapel. Simone dreamed of becoming a showbusiness star during her nights in the air raid shelter in the garden of her home in Southall, during World War Two. After joining the A.T.S. in the war, she became part of the concert party entertaining the troops, eventually joining the Windmill Theatre. How To Write Alternate History is a series of articles by Grey Wolf, examining subjects such as the identity of man, whether man makes the weather, how the everyday in an alternate world is going to be changed and what names for music, vehicles, weapons etc would be different. 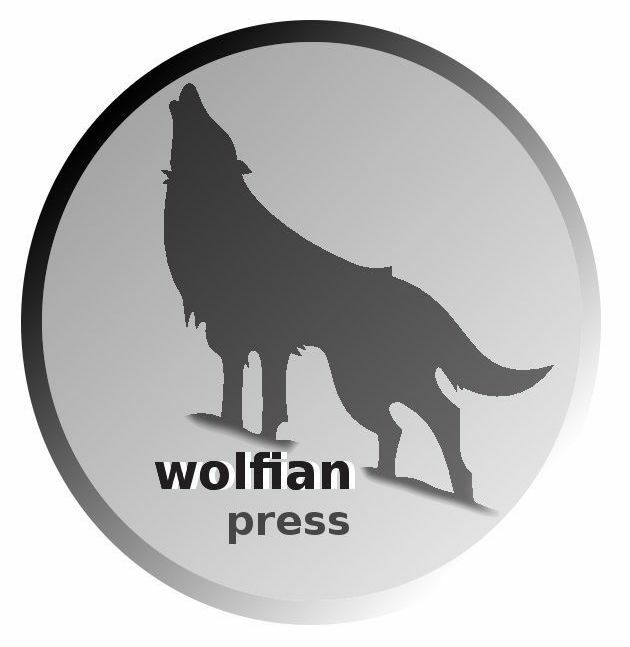 Whether you have a book all ready to go, or just the idea for a book, the Wolfian Press can make your dream a reality.